Pharmaceutical Manufacturing editors recently sat down with PMMI’s Jorge Izquierdo, VP, Market Development; and Tom Egan, VP, Industry Service, to discuss the findings from a recent PMMI study, Pharmaceutical and Medical Devices Trends & Opportunities in Packaging Operations. We also walked the Pack Expo East show floor to see what’s buzzing about pharma packaging and how this fits into the bigger industry picture. In many cases, the approaching serialization mandates are inspiring more than just compliance. Forward-thinking drugmakers are looking beyond track and trace for compliance and realizing an overall need for flexible equipment and platforms in their plants. They are also realizing ways in which new serialization capabilities can aid in more effective supply chain planning. The ongoing growth of generic drugs continues to change the pharma landscape. According to research referenced in the PMMI Report, the global generics market is growing by 6.9 percent annually, with the U.S. generics market growing by 2.3 percent. To remain cost efficient, generic manufacturers are constantly re-evaluating and looking to tighten the length of their supply chains. Taking a closer look at supply chains has led many generic drugmakers to re-evaluate the location of their production, and consequently we see generic drugs beginning to return to the United States from overseas production. The shift back to U.S.-based production is particularly attractive for products manufactured specifically for the U.S. market. In fact, according to experts quoted in the PMMI report, foreign manufacturers, such as those in India, are acquiring generic manufacturers in the U.S. or setting up their own companies in the United States. With an increase in generics, companies will run leaner, and in order to do so, will increase use of contract packagers and contract manufacturers. 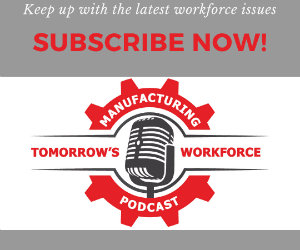 Generic manufacturing and packaging is being carried out in-house in some cases, but the bulk of reshoring is going to contractors. The PMMI trends report found that one-third of manufacturing and packaging is sent to contractors. About 52 percent of pharma companies interviewed for the PMMI report say they are using contract packagers. Pharmaceutical companies are also grappling with a growing demand for affordable biologics. Biologics were 15 percent of the total market in 2007, currently are 24 percent, and are expected to be 27 percent in 2019. Additionally, industry statistics report that 40 percent of drugs currently in trials are biologics. This demand, as well as an increasing demand for more personalized treatments, will necessitate production on-demand and deeper level of customization of drugs, which means facilities need to accommodate multi-product, small-volume capabilities. These needs are somewhat unrealistic for traditional large pharma plants. As such, facilities need to adapt to a more flexible design and need equipment that enables shorter runs and frequent changeover. Changing compliance mandates as well as more advantageous use of the Industrial Internet of Things also are increasing demands for equipment that is automated and easy to integrate. According to experts interviewed for PMMI’s report, machine versatility is beginning to take priority over speed when it comes to equipment purchases. PMMI found that two out of three companies surveyed predicted spending more on capital equipment in the next 12-24 months. Embedded in this spend is the necessity for the next generation of processing and packaging equipment to answer the needs of modularity, configuration changes, data management and automation. Outdated equipment is slowly being replaced with improved robotics and controls automation. Experts interviewed in PMMI’s report noted challenges related to legacy equipment, including line shutdowns and lack of flexibility for shorter production runs and line changeover. The landscape of the pharma market has changed significantly with the rise of generic and biologic drugs, as well as changing compliance mandates. New demands have birthed new thinking in the industry, and contract organizations as well as equipment manufacturers are rising to these challenges.